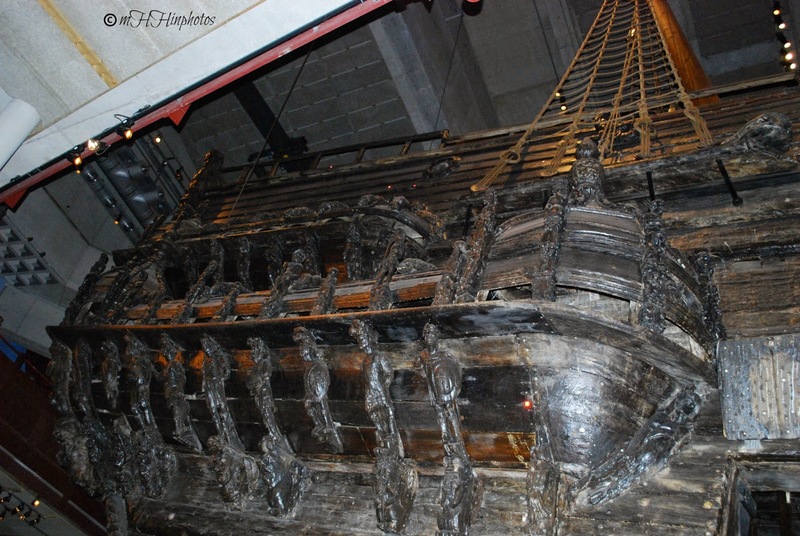 My Journey in Sweden ~ The Vasa, Why Did it Sink? 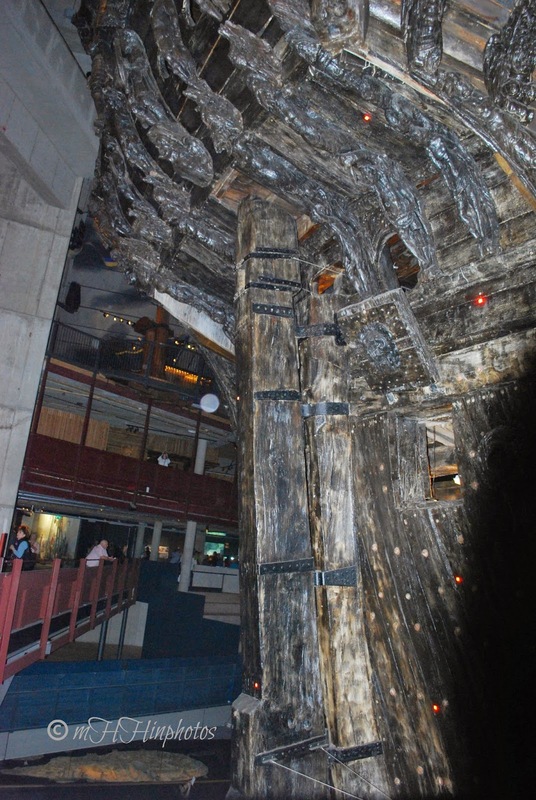 Below you will see a hatch opening in the ship as well as how tall the ship still is above that area. It is totally impossible to get one picture of this ship, it is much to large. 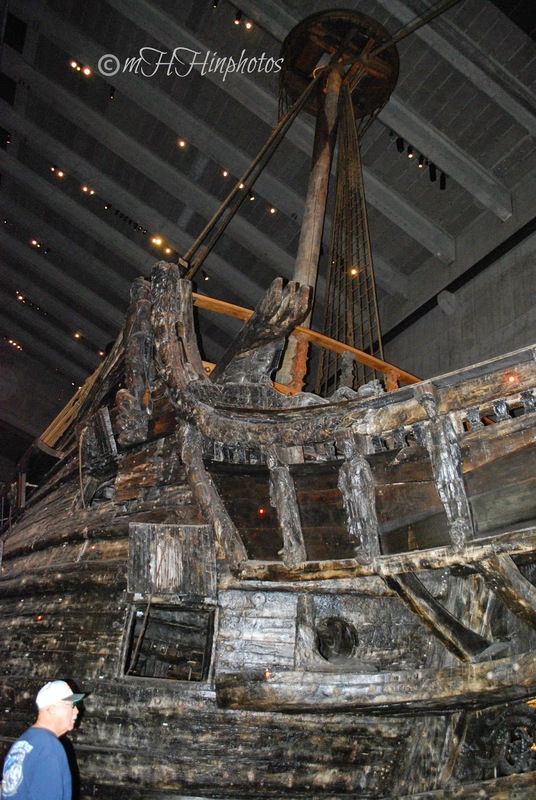 In fact, the museum itself was actually built around the ship because it is so large. Again, a side view of the upper part of the ship at the back end. The ship has to be at least three times this height all together, making it totally easy to understand why the ship sunk on it's first voyage. It was extremely top heavy. 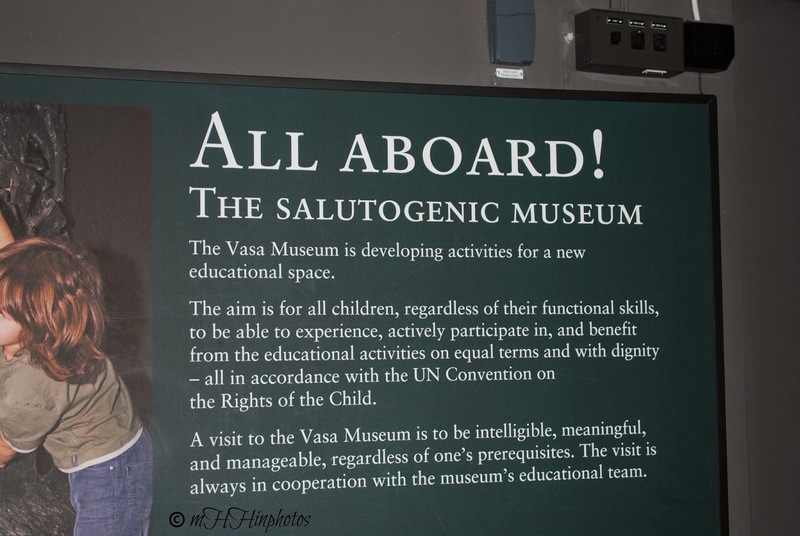 There was much more to read and see in the museum, but I decided to just share a couple other items with you. 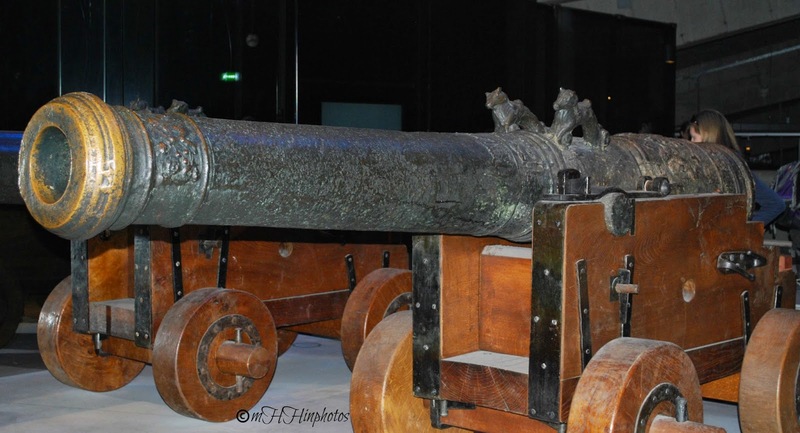 The cannons I thought were very interesting, especially the wood structures holding them. 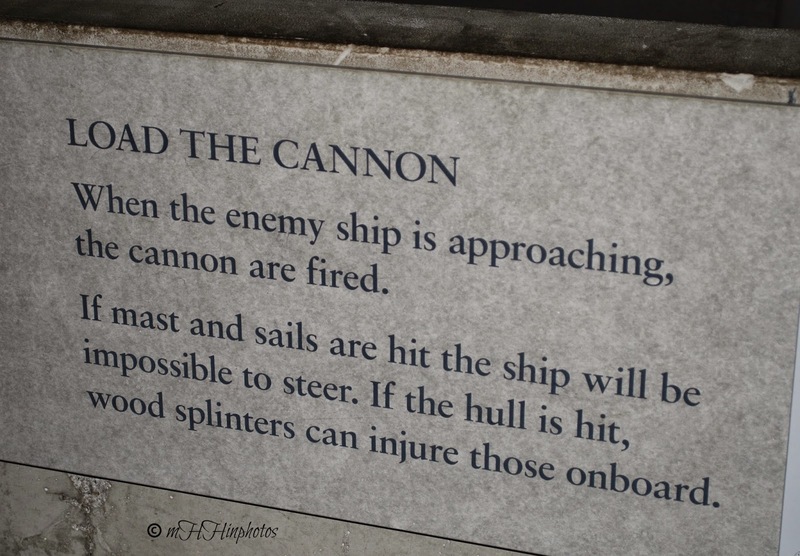 Here are a couple of signs, thankfully in English, about the cannon and the ship. 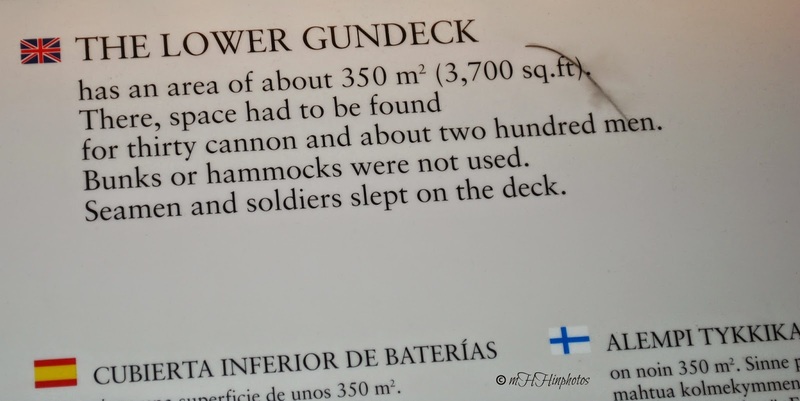 As big as this ship was, it is difficult to imagine so many men and cannons in this one area. Time to move on. 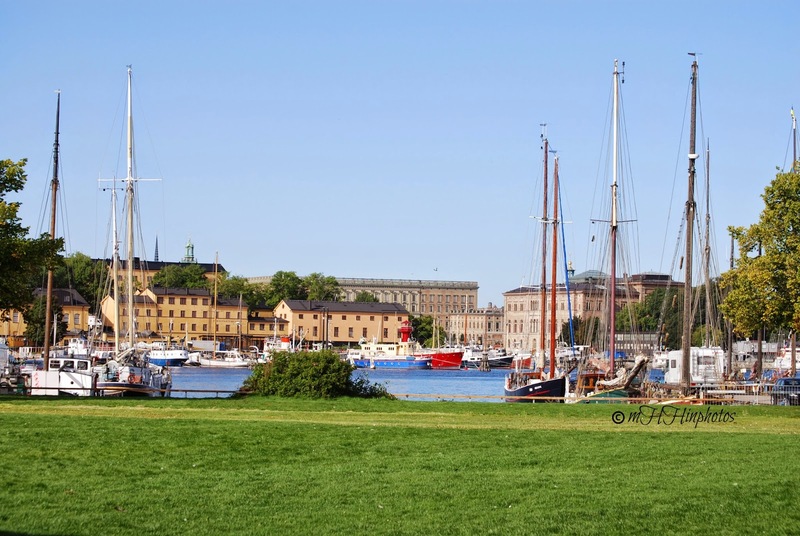 The view as we walk to the water taxi to head back to the main port of Stockholm.